I met Russell and Elizabeth for the first time at their engagement session here in Pawleys Island, SC. Within minutes I could see just how smitten Russell is with Elizabeth! 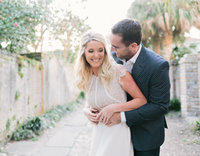 They are both soft spoken, easy going and so down-to- earth and their Heritage Plantation wedding day was just that! The day was peaceful, simplistic and just perfect! I was blessed to be a part of it! Kristy Roderick Photography specializes in Wedding Photography, Engagement Photography, Bridal Photography, Family Photography and Senior Photography, in Myrtle Beach, Charleston and surrounding areas. She prides herself on creating a unique and custom photographic experience for everyone she photographs! If you enjoyed looking at our portfolio and would like to know more about our photography services, please contact at 843.602.7299 or email at kristy@kristyroderick.com We would love to hear from you!